We offer a range of tailor-made services to accommodate both new and used vehicles. These are designed to be flexible, taking into account factors such as mileage, age and usage of the vehicle. This 6 month service is designed for the high mileage car user, or where the manufacturer recommends more frequent checks. This service helps maintain your vehicle and prevents unforeseen faults. Included is an oil and filter change and a wide range of checks on the fundamental items. 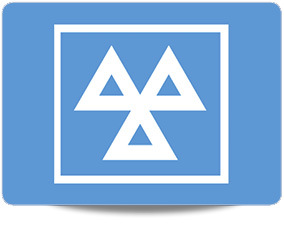 12 month vehicle service is a comprehensive annual service for trouble free motoring. It exceeds most manufacturers’ service schedules and adjustments including changing the engine oil, oil filter and air filter. High quality parts are used; we check and record wear and tear items using reporting system to give you peace of mind. 24 months covers all areas of essential maintenance. In addition to all the items included on the Full service we cover items that are regularly recommended for replacement every two years; including changing the air filter, brake hydraulic fluids, external fuel filter and spark plugs. By having the Major Service you make significant savings on the cost of purchasing these extra items separately. Whilst servicing your vehicle we can also include: – Brake fluid change, antifreeze renewal, MOT or air-con re-gas, timing belt and auxially belt replacement at your request. All our service packages validate and often exceed the manufacturer’s warranty requirements. Prices quoted from main dealers are up to 40% more expensive than our car servicing, so why not check our service plans and see if our offer isn’t also more comprehensive. Have your car service and MOT carried out together! Our reception team aim to make booking your car in as simple and effortless as possible and are happy to advise you. with regular servicing at Motor-Vation Rugby. What car service should I choose? The three levels of service are designed to meet the varying needs of cars no matter their age, condition or history. Interim Service – this six month service is designed for the high mileage car user, or where the manufacturer recommends more frequent checks. This service helps maintain your vehicle and prevents unforeseen faults. Included is an oil and filter change and a wide range of checks on the fundamental items. Full Service – 12 month vehicle service is a comprehensive annual service for trouble free motoring. It exceeds most manufacturers’ service schedules and adjustments including changing the engine oil, oil filter and air filter. High quality parts are used; we check and record wear and tear items using reporting system to give you peace of mind. 24 months covers all areas of essential maintenance. In addition to all the items included on the Full service we cover items that are regularly recommended for replacement every two years; including changing the air filter, brake hydraulic fluids, external fuel filter and spark plugs. By having the Major Service you make significant saving on the cost of purchasing these extra items separately. Will my manufacturer’s warranty be invalidated if I don’t have my car serviced by my dealer? No – Motor-Vation Rugby carries out all services in accordance with the Vehicle Assembler’s servicing schedules and only use parts manufactured it Original Equipment (OE) quality – which means that your manufacturer’s warranty is protected. Do you use high quality parts? Yes – all parts used by Motor-Vation Rugby are manufactured to OE quality. Please note that there is an additional charge added for platinum or long life spark plugs. Do you offer a manufacturer’s service? Yes – if you would like to have a manufacturer’s service instead of one our menu services, please contact us for a quote specific to your vehicle. If you are in doubt about the state of your brakes, we can provide a no obligation metered brake roller test with an efficiency print out together with a visual inspection. 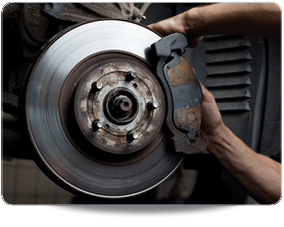 Our specialist trained technicians will check your brake pads, shoes and discs and replace any parts which are unsafe. If any repairs are needed we will advise you and provide a full quote before beginning any work.